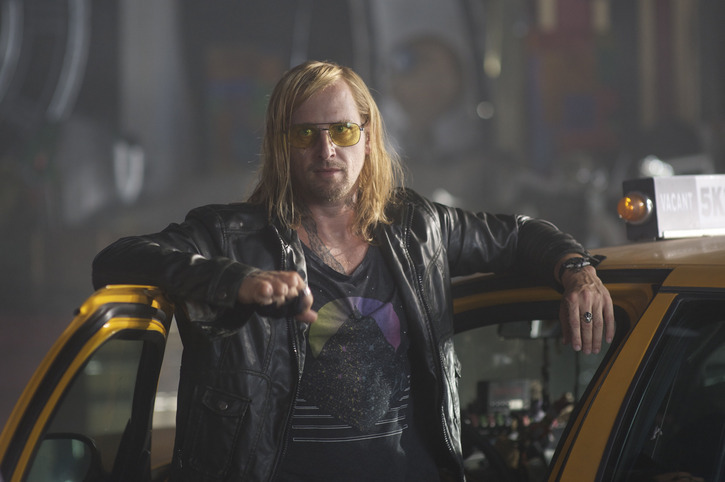 Director Simon West has had an interesting career. Early on he was very bankable, debuting with Con Air (1997), continuing with The General’s Daughter (1999), and peaking (in terms of box office) with Lara Croft: Tomb Raider (2001). Three-for-three in five years; it hardly gets more impressive for an action director. But the next decade saw West direct only two films, the middling horror flick When a Stranger Calls (2006) and the relatively overlooked Jason Statham thriller The Mechanic (2011). How fast do you imagine he said “yes” when offered the director’s chair for The Expendables 2, the 2012 all-star extravaganza that gave him his biggest worldwide hit since Tomb Raider? In between those last two pictures, West found time to reteam with Con Air star Nicolas Cage for Stolen. For all intents and purposes a direct-to-video release, Stolenslipped into a few theaters in September while The Expendables 2 was still raking in millions. It was kind of a unique situation, a name-brand director with two films in theaters simultaneously; one an all-the-bells-and-whistles wide release, the other unceremoniously buried. 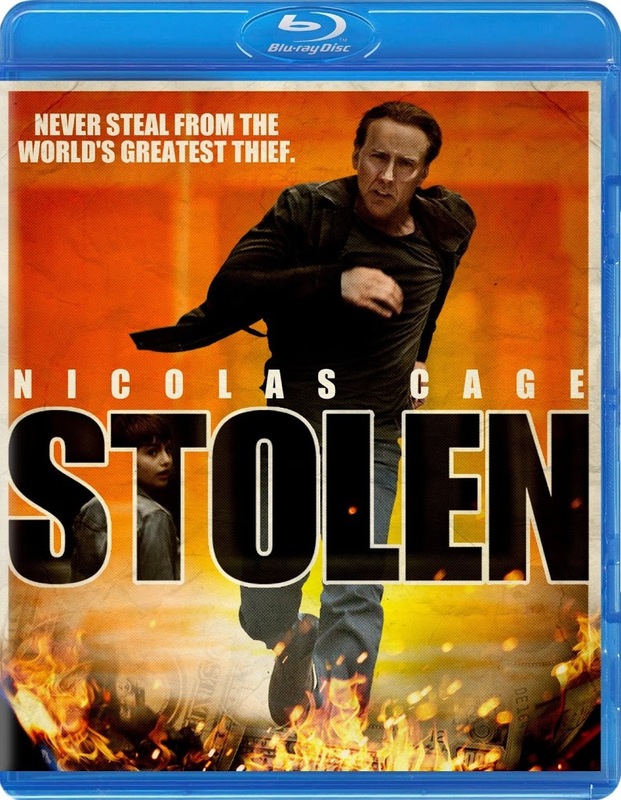 So does Stolendeserve a look now that it’s on Blu-ray and DVD? It’s a slick, fast-paced, 90-minute bank heist thriller with a typically likable performance by Cage. Far worse films have received bigger budgeted promotional campaigns. Cage plays Will Montgomery, one of the best bank robbers in the country. As Stolen opens, we see Will and his team—which includes loose cannon Vincent (Josh Lucas) and token female Riley (Malin Åkerman)—attempting a job that, if successful, will yield $10 million. It goes horribly wrong. Will winds up in jail and Vincent is missing and presumed dead. It’s a tightly directed opening sequence, with West setting an exciting (and thankfully not humorless) tone for the rest of the film. Flash-forward eight years, Will is out of jail and trying to reconnect with his now 15-year-old daughter Alison (Sami Gayle). Before long, Vincent is revealed to be very much alive, currently driving a cab in New Orleans. Knowing Will is being released, he executes a very simple plan: kidnap Alison, hide her in the trunk of his cab, and demand a ransom from Will of $10 million. Vincent is under the mistaken impression that Will still has the money he helped rob. From then on, the clock is ticking as Will must “go back to wrong” by robbing yet another bank in hopes of paying the ransom. It’s hard for him to keep a low profile, considering his first move is to contact the detective who originally busted him, Harlend (Dany Huston). But Will’s story about a kidnapped daughter doesn’t impress him. The cops keep a close eye on Will as he frantically tries to keep Vincent from killing Alison. Without spoiling one of the cooler elements of the plot, he comes up with a daringly different way to rob another bank. Stolen feels more like a lean and mean Jason Statham vehicle, but Cage winds up being the best thing about it. No matter what one feels about Cage’s descent from distinguished Oscar winner to paycheck-cashing star of such hackwork as Bangkok Dangerous, he remains a quirky, interesting performer. Josh Lucas gives him a run for his money by making Vincent a full-tilt psycho. He struggles hard to put his own stamp on the role. If he comes up short, it’s more due to the by-the-numbers writing in David Guggenheim’s screenplay than any lack of effort. As for the leading ladies, while Åkerman is largely wasted in an underdeveloped role, Gayle turns in solid work as the vulnerable kidnappee. Stolen has been given a clean, attractive 1080p transfer. There’s nothing particularly distinctive about the look of the film, if anything it’s quite generic. But there’s also nothing to complain about with this high definition presentation. Much of the film takes place in low lighting, yet detail remains reasonably strong and black levels are deep and solid. Stolenwas shot the old fashioned way, on 35mm film, but not necessarily to any noteworthy effect. The largely grain-free image has the look of a somewhat sterile digital production. The Dolby TrueHD 5.1 mix isn’t nearly as expansive as we’ve come to expect from modern action movies. Maybe the decision was made to scale back the sound design once they knew the film would not be released theatrically (not on a wide basis, at least). The surrounds are actually pitifully inactive for this type of kinetic thrill movie. Mark Isham’s spiky, synth-based score is heard in the rears from time to time, but this is a pretty conservative mix overall. Most of the music and effects emanate from the front, but occasionally we get some nice directional effects. LFE channel activity is also fairly minimal. Don’t get me wrong, it all sounds fine. It’s just not as exciting as it could have been. Special features are light and mostly of a promotional nature. There’s a short EPK-style featurette and a reel of raw production footage. More interesting is 40 minutes of cast and crew interviews. Unfortunately it’s not broken down by individual interviewee, but we hear from the primary players including West, Cage, and Lucas. Most of the time it sounds like the filmmakers and actors are straining to add depth to what was a pretty fluffy screenplay to begin with. But anyone who has a good time with Stolen is likely to appreciate hearing a little more about how it came together. Will Stolen be viewed as a highlight in either Simon West or Nicolas Cage’s filmographies? Not likely, but in the end it’s a fairly entertaining diversion.